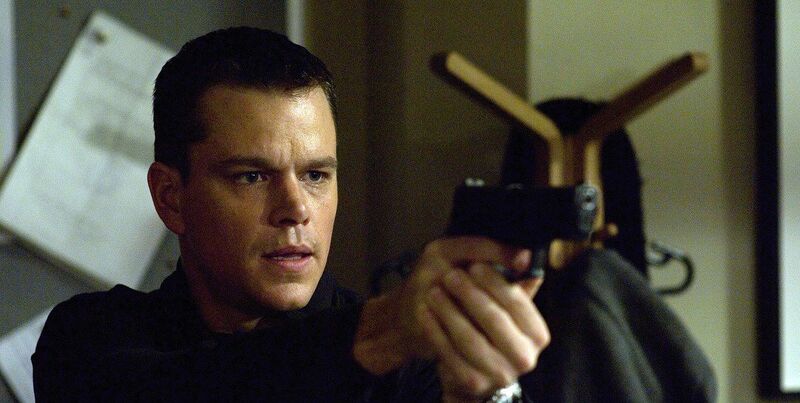 Smart but not smart enough to fully shake away the hoary clichés, The Bourne Identity is too Hollywood to ever really sink its teeth into its protagonist’s existential crisis. Near Marseilles, an amnesiac is pulled from the ocean by a group of fisherman. From a Swiss bank to a Parisian countryside, Jason Bourne (Matt Damon) flippantly negotiates his identity amid a constant spray of bullets. Franka Potente and Damon’s chemistry is as potent as director Doug Liman’s restrained approach to the material. Jason’s escape from the American Embassy in Switzerland via its outer walls is a nailbiter—that nothing’s damaged or ever really at stake makes it all the more gripping. Even better is Jason’s slow walk through his Paris flat. Forget the killer suspense, Liman’s choice of weapons and relentless use of silence is endlessly fascinating. Though relatively colorless, the film’s C.I.A. agents still talk and walk like C.I.A. agents (Brian Cox, as a mysterious government official, all but steals the show with a literal wink at the audience). Marie (Potente) is Bonnie to Jason’s Clyde and while her presence, like the film itself, feels superfluous at best, she still gives a mean haircut (set to John Powell’s techno-symphonic score). Bourne Identity may not work as a full-fledged spy thriller or as an identity crisis pot boiler, but thanks to Liman’s near effortless direction, the genre gumbo is like butter.